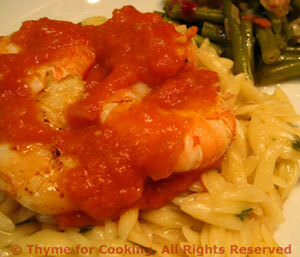 Thyme for Cooking's Main Courses: Shrimp, Grilled Lamb Chops. 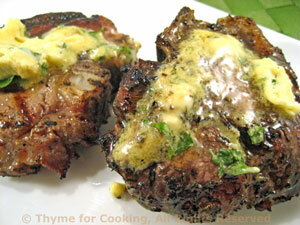 A bit of mustard-basil butter finishes off the lamb, melting over the top as you serve. 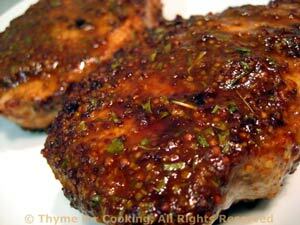 Sprinkle chops with garlic powder, drizzle with oil and allow to sit until ready to cook. 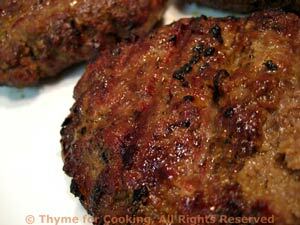 Cook on barbecue grill over medium-high - high heat for 2 - 5 minutes per side. Or in a non-stick skillet or grill pan for the same amount of time. Timing, as always, depends on thickness and desired degree of doneness (I don't know if that is a word - but you get the idea). We do ours on a hot grill 2 minutes a side for medium rare. Mince garlic and basil together. 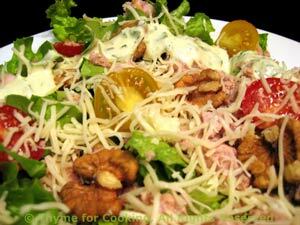 Put into a small bowl, add mustard and butter and mix well. 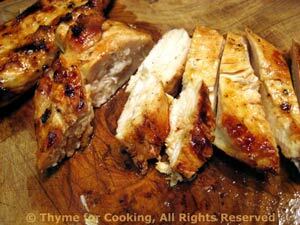 Can be made ahead, shaped into a log, chilled and sliced before putting on chops.